September means new iPhones and new versions of the iOS operating system. This year is no exception. Unlike iOS 11, this version provides a true performance boost, especially for older devices like iPhone 5s and not least iPad mini 4 which was virtually useless with 11. 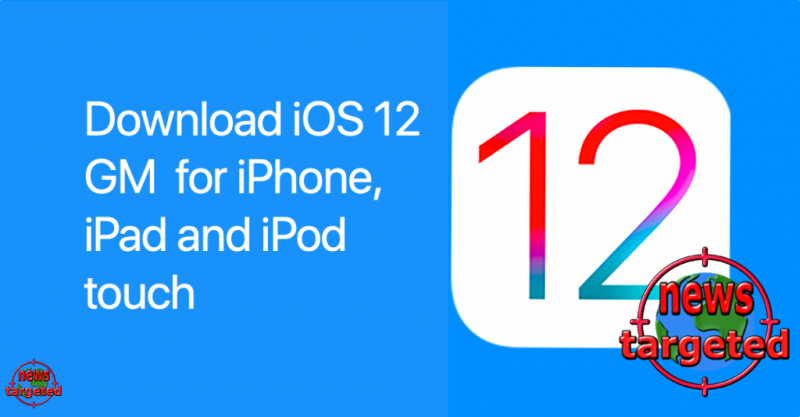 Apple has now made iOS 12 available to anyone in the final version. If you have participated in the iOS 12 beta, you have probably downloaded the stable version for the longest, it was available last week. Regular users, however, can not download and install the new edition before tonight. More precisely at 19.00. After much trouble with the previous launches, Apple has mainly focused on improvements under the hood and optimizations this year. Of course, iOS 12 also has several new features like a new service called Screen Time, which shows how much time you spend on your iPhone or iPad, Memoji - a personal version of Animoji-grouped notifications and new Siri shortcuts. You can read more about all the news on this page. iPhone 5s, iPhone SE, iPhone 6 and 6 Plus, iPhone 6s and 6s Plus, iPhone 7 and 7 Plus, iPhone 8 and 8 Plus, iPhone X, iPhone XR, iPhone XS, and XS Max. iPad mini 2, mini 3 and mini 4, iPad 5 generation, iPad Air and Air 2, iPad Pro 9.7, 10.5 and 12.9 inches (both editions). Should you download iOS 12 when it becomes available, or are you awaiting a bit to control any errors?